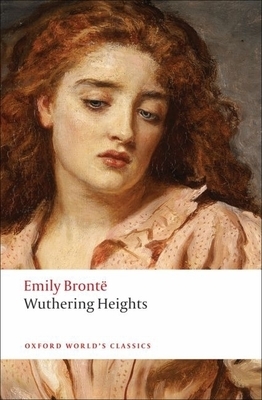 Wuthering Heights is one of the most famous love stories in the English language. It is also, as the Introduction to this edition reveals, one of the most potent revenge narratives. Its ingenious narrative structure, vivid evocation of landscape, and the extraordinary power of its depiction of love and hatred have given it a unique place in English literature. The passionate tale of Catherine and Heathcliff is here presented in a new edition that examines the qualities that make it such a powerful and compelling novel. The Introduction by Helen Small sheds light on the novel's oddness and power, its amorality and Romantic influences, its structure and narration, and the sadistic violence embodied in the character of Heathcliff. The volume retains the authoritative Clarendon text and notes, with new notes that identify literary allusions hitherto unnoticed. In addition, the edition boasts two appendices, one of which contains poems by Emily Bronte selected for their relevance to the novel, and a second which contains Charlotte Bronte's "Biographical Notice of Ellis & Acton Bell" and "Preface to the New Edition. Ian Jack was Professor of English at the University of Cambridge. He died in 2008. Helen Small is Fellow in English at Pembroke College, Oxford.